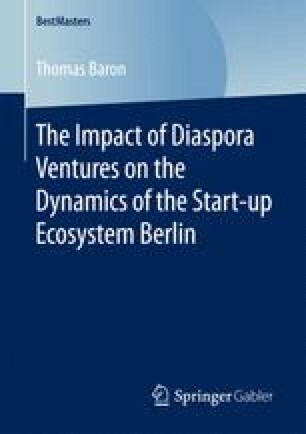 As mentioned earlier, there is no research so far that has connected the research field of diaspora entrepreneurship with the concept of the start-up ecosystem Berlin. Because the elements which are responsible for the dynamics of this ecosystem have not yet been identified, the impact of diaspora ventures in this context cannot be easily deduced. Therefore, fundamental research is required.